Most people want to get a bit fitter. Whether it’s a well meaning New Year’s resolution or an ongoing commitment to get more exercise, a lot of us do want to get – and stay – more active. Even if we’re not going to make the Paralympic team, some simple movement and exercise can help us to feel better, improve our mental health, keep us trim and help us to look great. And, for people who have difficulty standing up, one option to consider is an armchair exercise bike or sit down exercise bike. 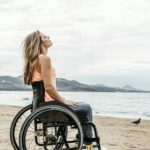 One of the main benefits of seated exercise is that it is suitable for everyone from those who are super fit to those who have not done any physical exercise in years. You are sitting down and you can pace yourself, so you can speed up on the pedals or slow right down, depending on your stamina and strength. You can build up to either exercising for longer, or pedalling harder, depending on which suits your preference. 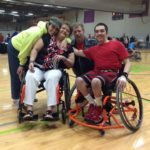 With some great disability exercise equipment, there are plenty of options for accessible exercise. Another benefit of seated exercise is that you can carry it out while doing something else. Perhaps your favourite TV soap opera is on, or you work at a desk all day and want to build up strength in your legs at the same time. With your armchair exercise bike at your feet, you can train and get fit no matter what activities you’re engaged in. An armchair exercise bike is placed on the floor in front of you in your chair and you place your feet on the pedals. Then, you start to pedal as if you were riding a bike. Armchair exercise bikes vary in how technologically advanced they are. Some, like in this video, are quite basic with simple pedals on a frame. Whereas others are far more flashy. This design, for instance, has a digital monitor that measures and tracks the progress you make. It will tell you how many calories you have burned and how much distance you have ‘travelled’. It also records how long you have been using the exercise bike for. With some designs, you can also change the resistance: you would increase it as you build up your fitness and stamina levels. Some people might also want to get an upper body exercise and, amazingly, this is also possible with an armchair exercise bike. Consider putting the exerciser on a desk in front of you and operating the pedals with your hands. This would do wonders for your arm and shoulder strength! Any kind of exercise that gets your blood flowing and your heart beating more quickly is great news for your body and mind. You will feel more stable and stronger, as well as increasingly fit as you build up your exercise over time. You might lose some weight, help your existing health conditions, improve your joint mobility and increase your energy levels. 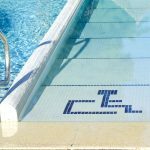 For people who struggle to stand but still want to get fitter, there are several other options to exercise while sitting down. 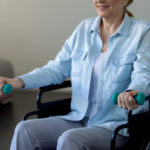 Weight Concern offers advice on how to find out more about seated exercise, while Very Well has a page dedicated to some exercises that can be done on a chair using various pieces of exercise equipment. Always start at your own pace and build up gradually to avoid injury or burnout with a sit down exercise bike. Set yourself some realistic but motivating goals and keep track of your progress, perhaps using an exercise app on your phone. Look at your new exercise routine as a long-term change to your lifestyle, not a short burst of activity, and you’ll go far. 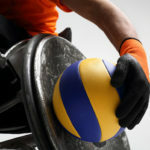 How to get into Disability Sports.